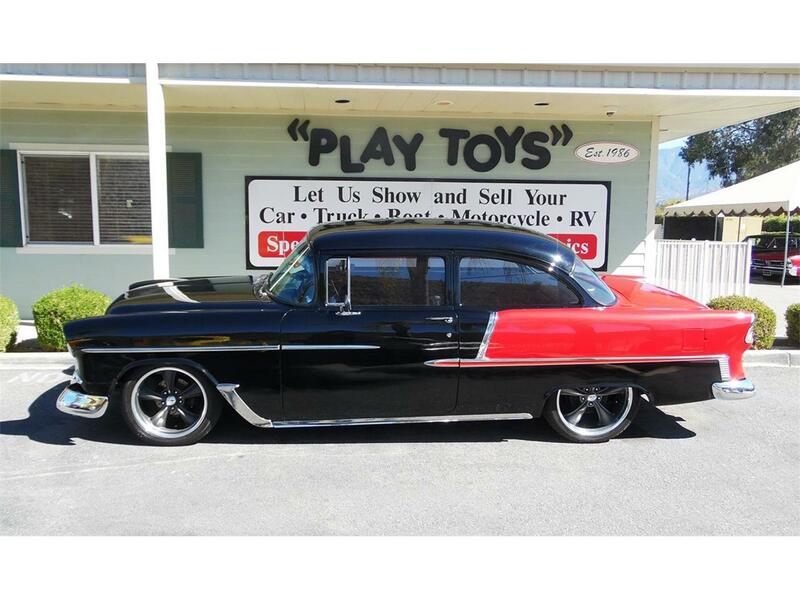 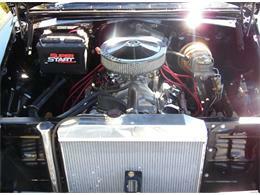 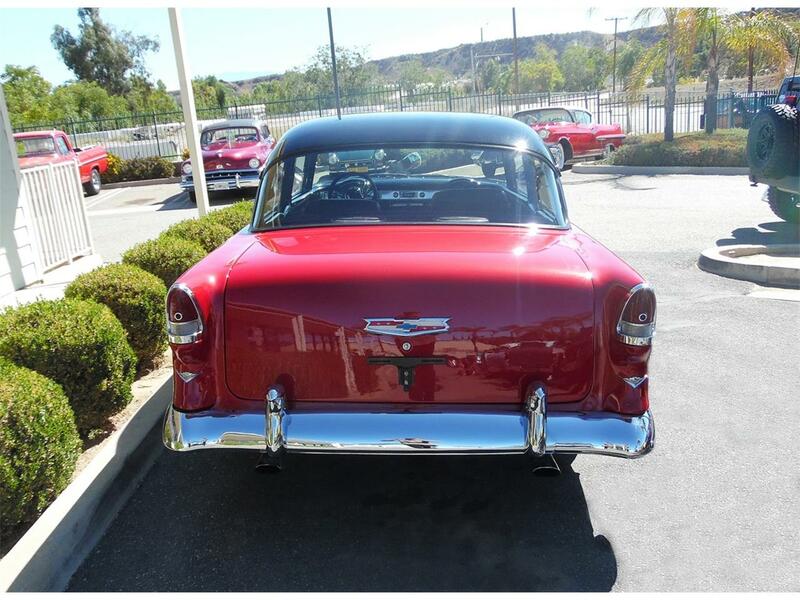 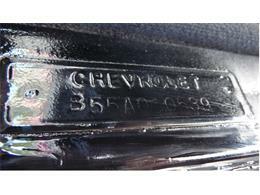 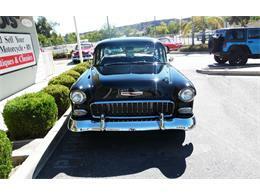 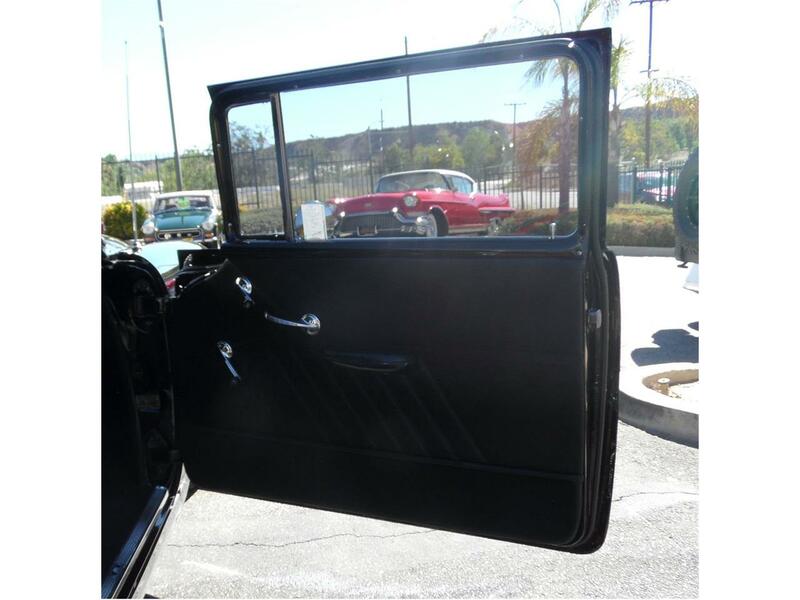 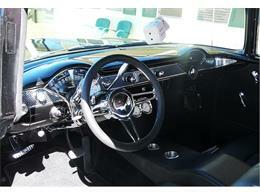 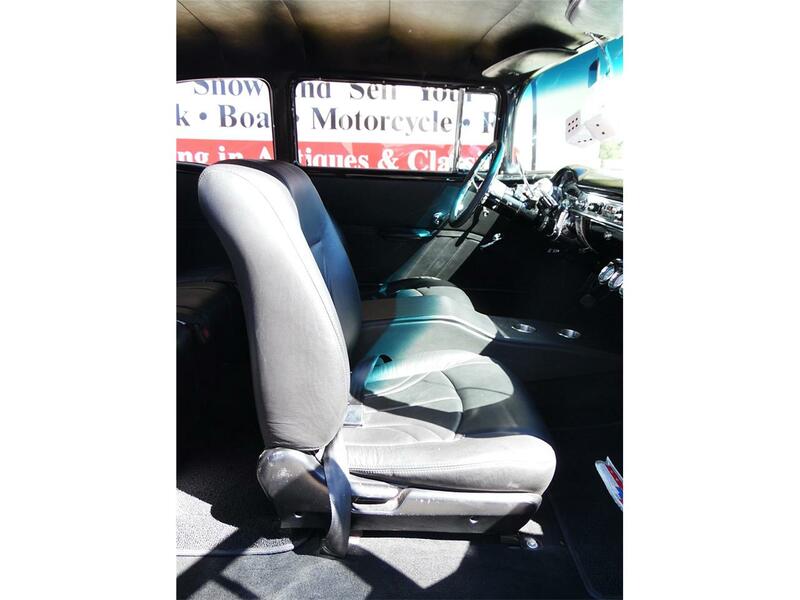 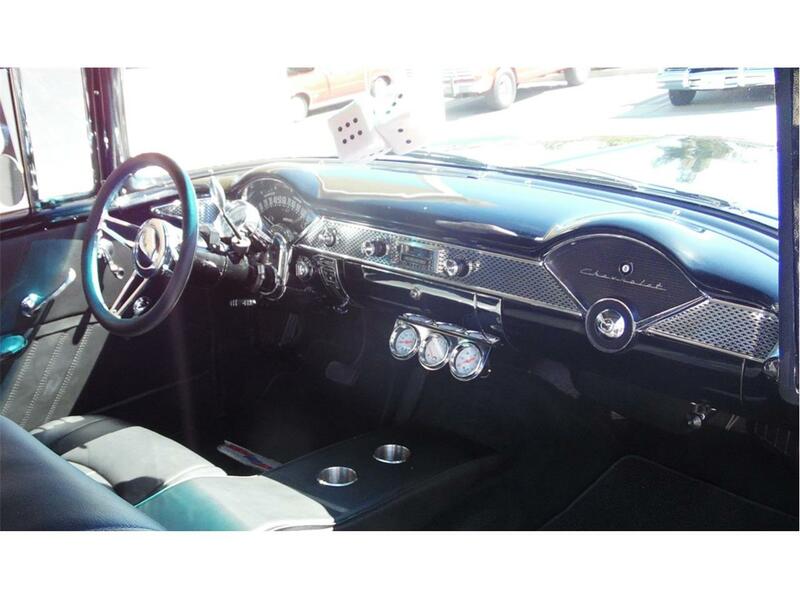 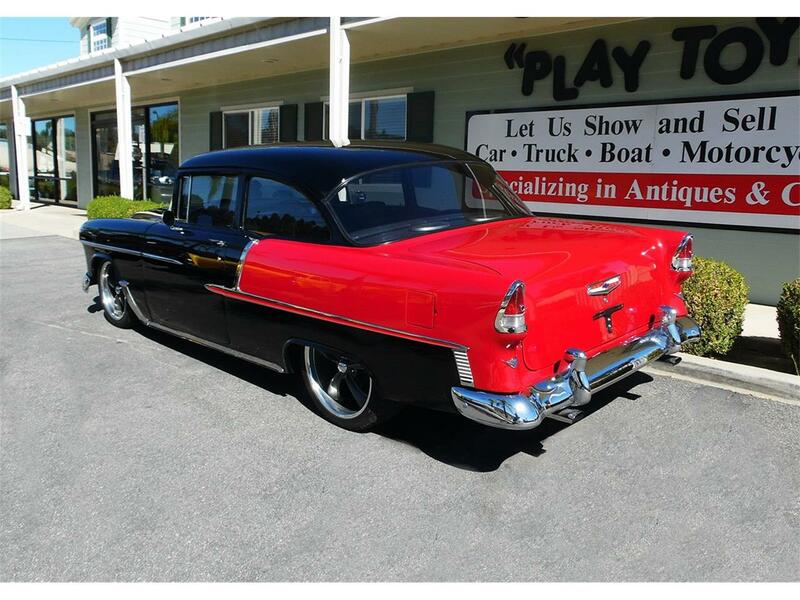 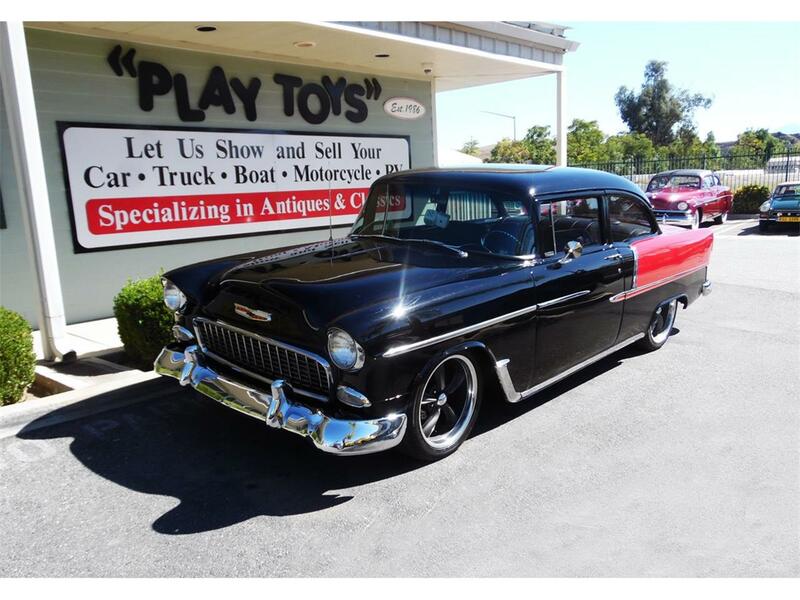 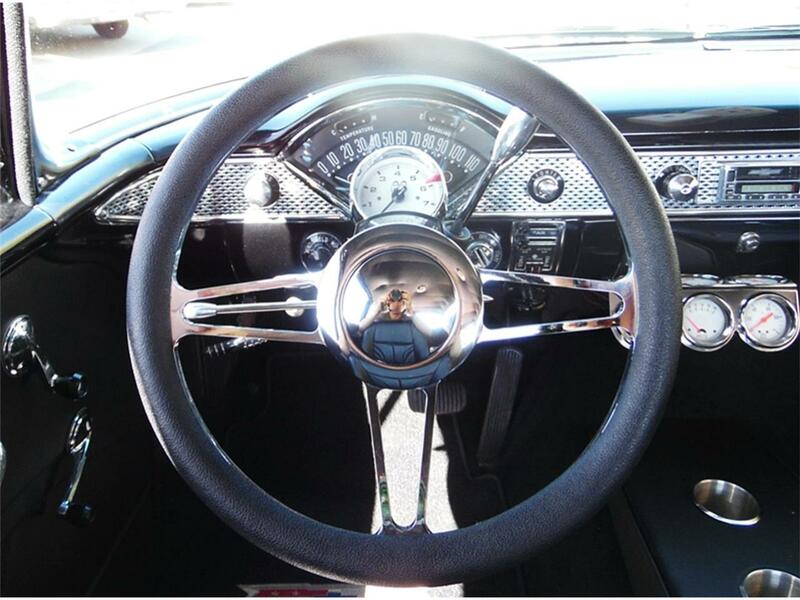 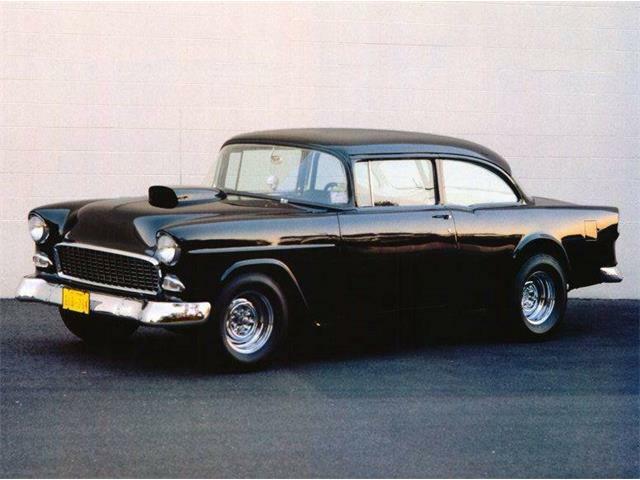 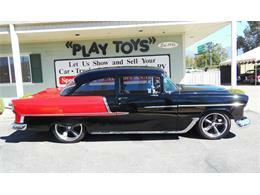 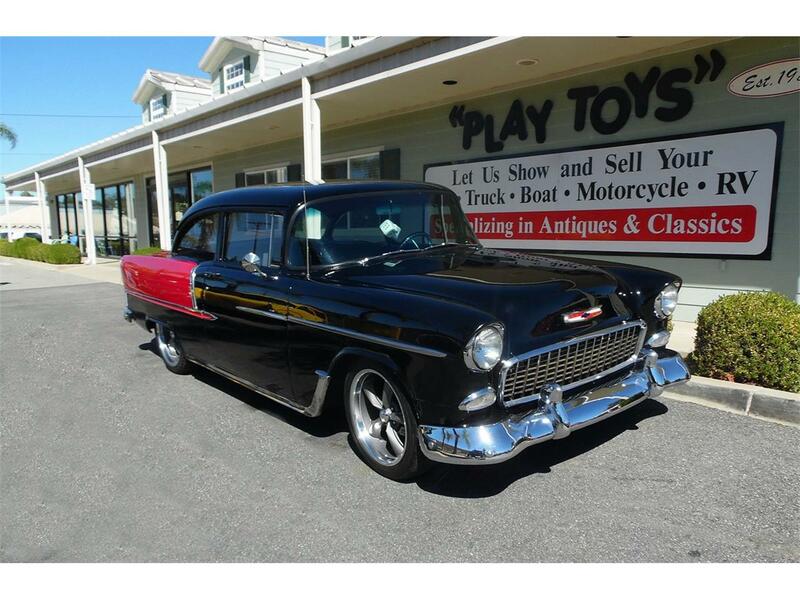 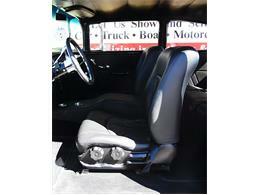 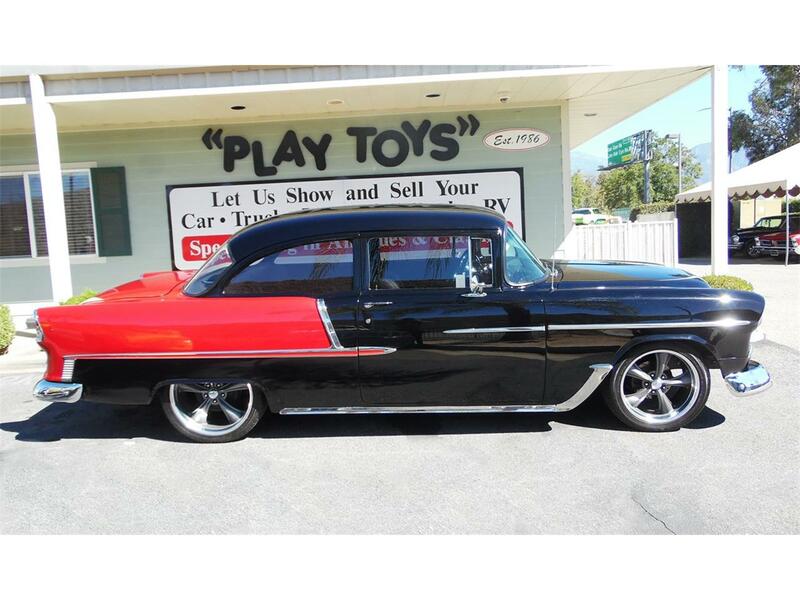 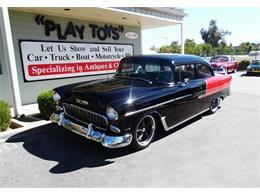 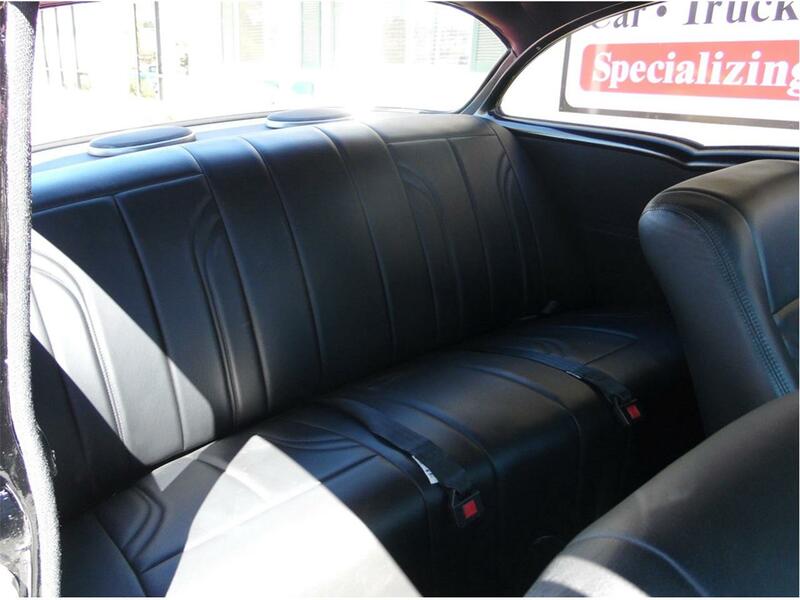 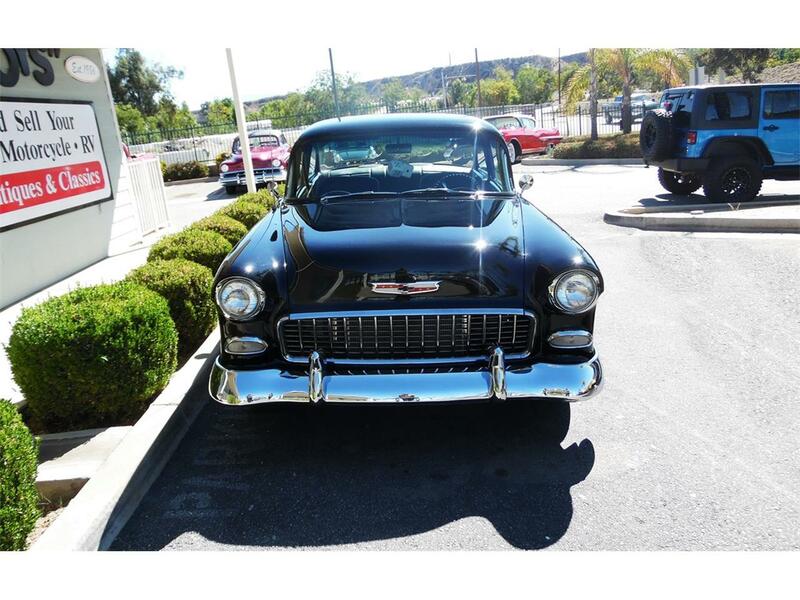 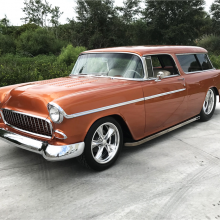 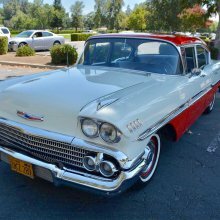 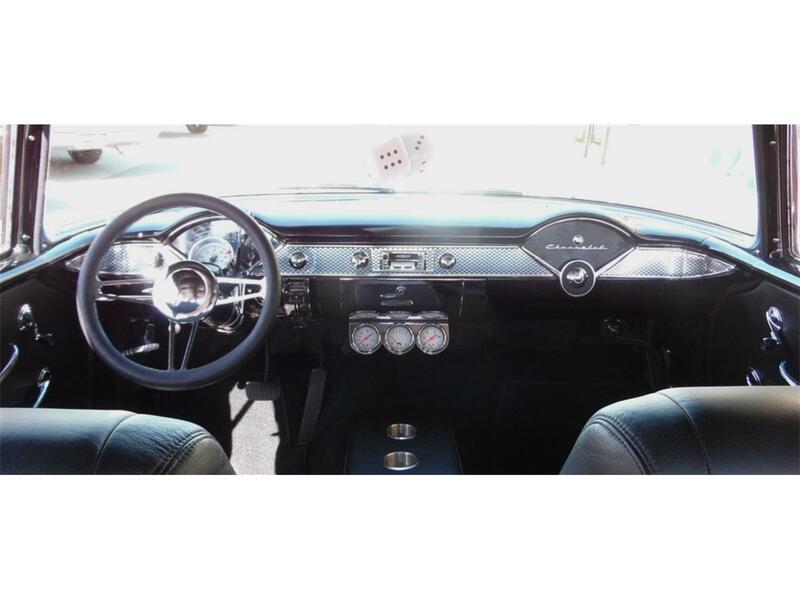 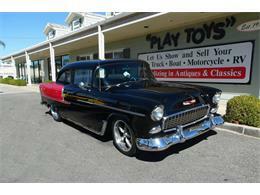 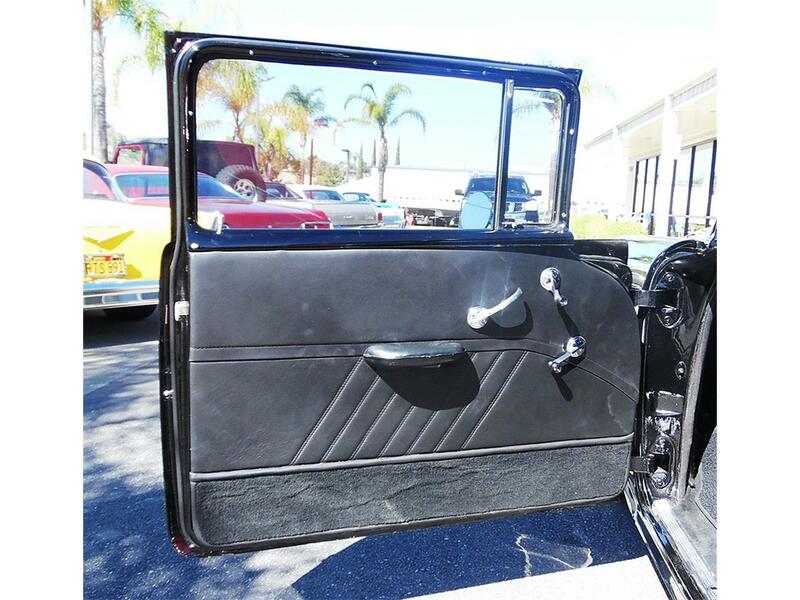 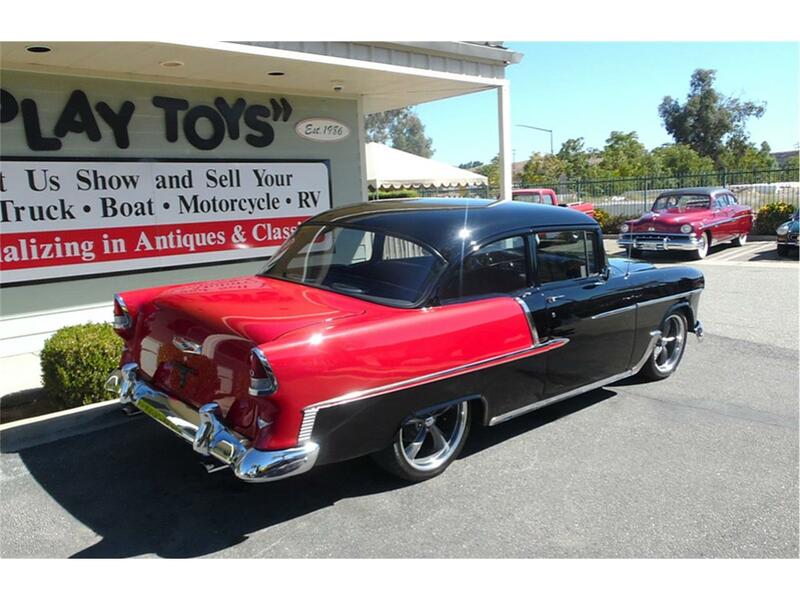 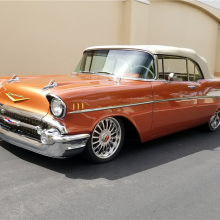 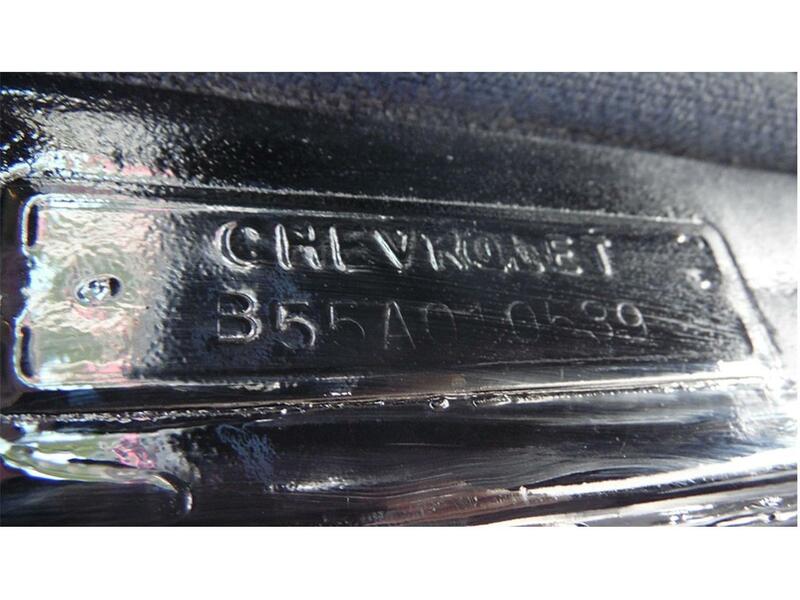 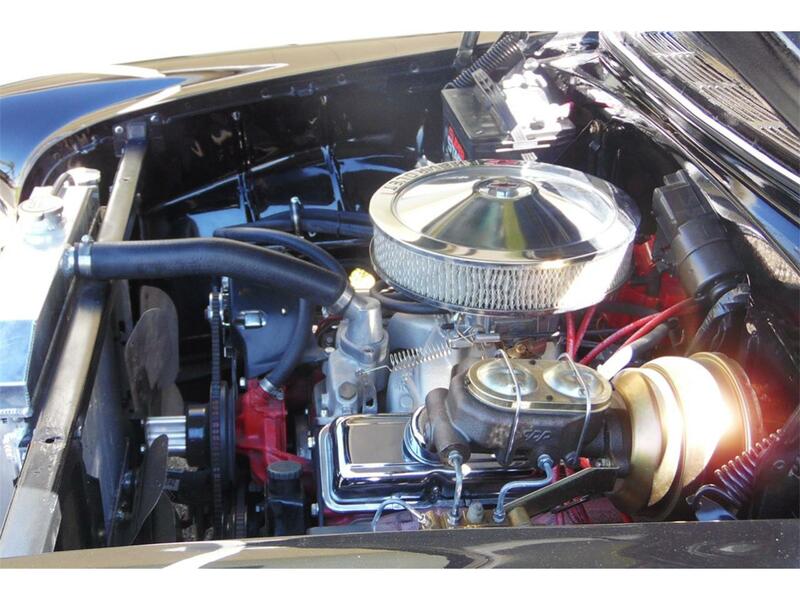 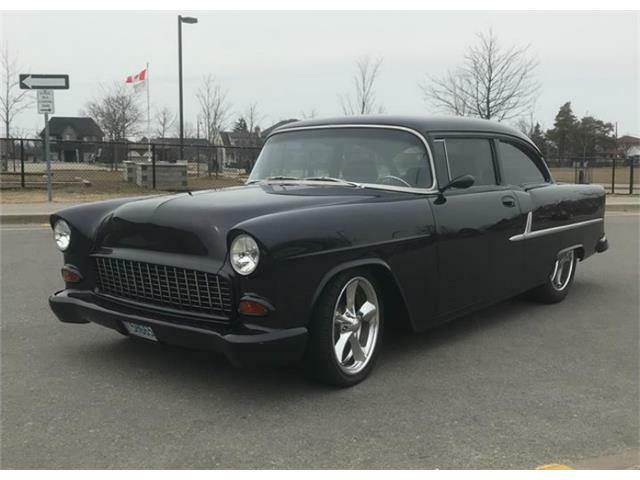 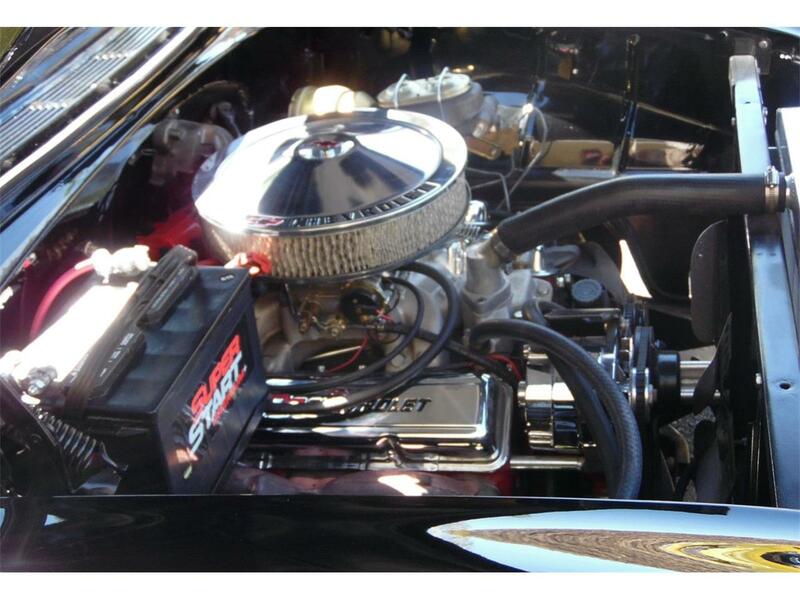 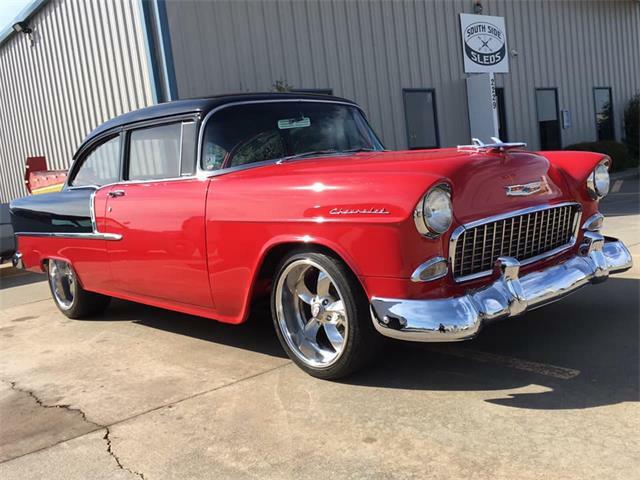 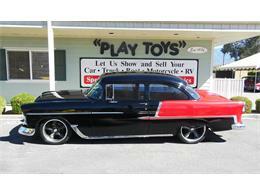 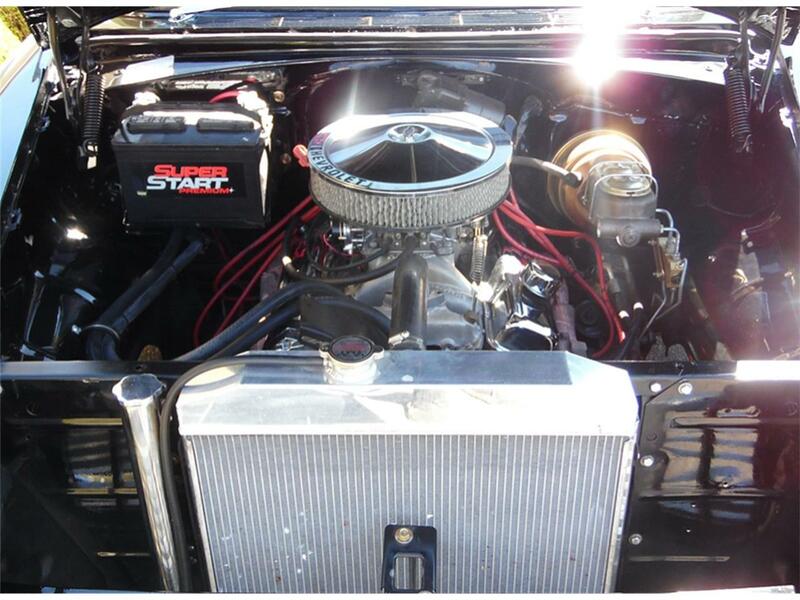 This 1955 Chevrolet 210 2 door comes equipped with a 350 V8, 700R4 automatic transmission, Edelbrock RPM Air cap intake, Edelbrock Performer 600 cfm carburetor, power steering, power disc brakes, Chrome Ididit tilt steering column, new aluminum radiator, front end rebuilt, new seat belts, black leather bucket front seats, custom center console, leather headliner, leather door panel, AM/FM and cassette Retro style stereo, Boss wheels 18" front and 20" rear. 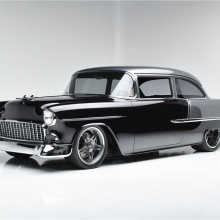 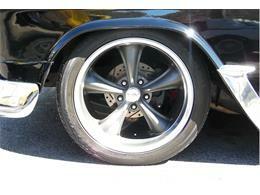 This is a great cruiser! 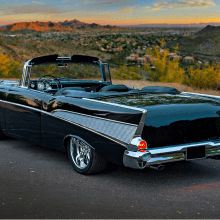 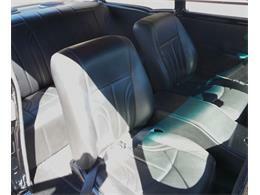 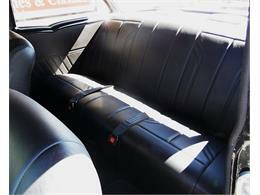 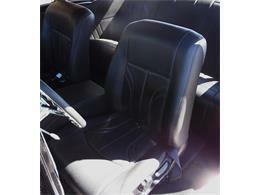 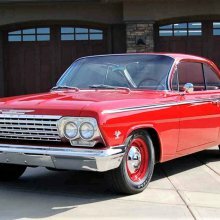 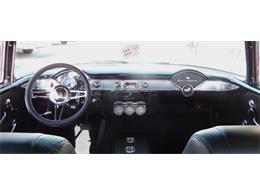 This is the 12th vehicle in the 30-day Countdown to Barrett-Jackson’s 47th annual Scottsdale auction. 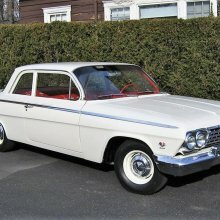 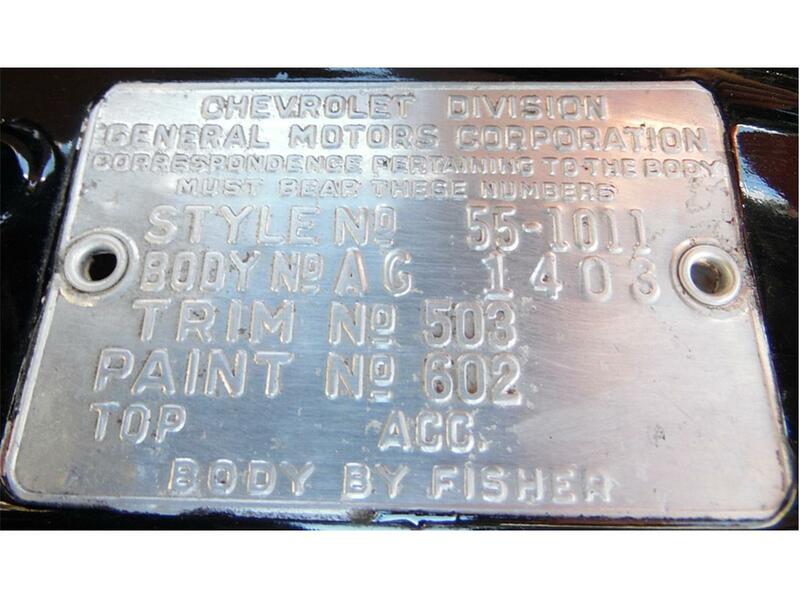 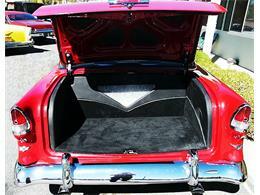 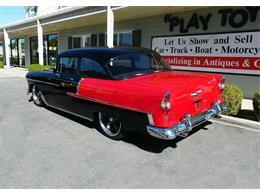 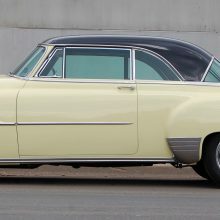 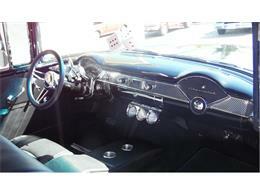 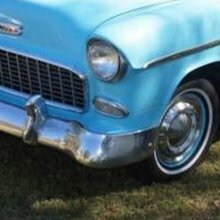 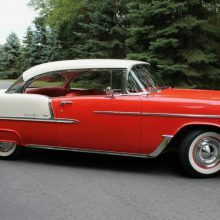 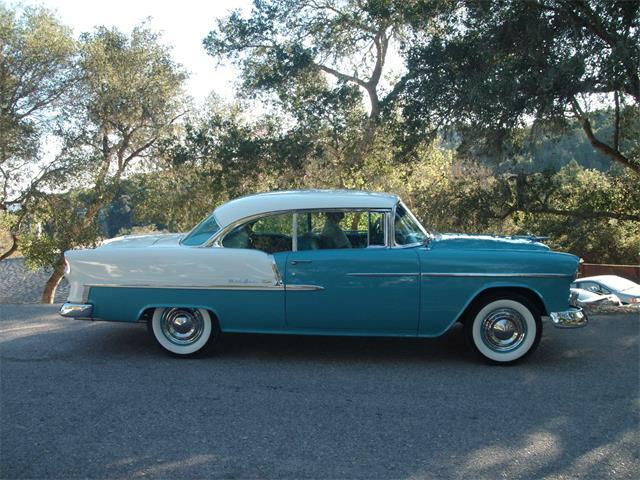 In 1958, I turned 16 and got my first car, a ’50 Chevy convertible my two older sisters had abandoned.